This post was updated at 3 PM Eastern. Of all the possibilities to headline the UFC's November return to Madison Square Garden, a title fight for the vacant women's flyweight championship wasn't high on the list of expected outcomes. According to ESPN's Brett Okamoto on Twitter, the main event for UFC 230 on November 3rd will be Valentina Shevchenko vs. Sijara Eubanks. Shevchenko was to face Joanna Jedrzejczyk for the vacant title in the co-main event of December's UFC 231, which is why this comes as a bit of a surprise. As of now, it's unclear why Jedrzejczyk isn't involved, but it's assumed that she wouldn't be ready in time. Eubanks, who tweeted that she has signed the deal, was originally slated to compete for the title against Nicco Montano after winning the season of TUF where the belt was introduced. However, she had to pull out of the fight due to kidney failure trying to make weight. She made her official UFC debut earlier this year with a decision win over Lauren Murphy. The 33-year-old has just five career fights and sports a 3-2 record, while the 30-year-old Shevchenko is a decorated fighter in several disciplines and has already competed for a UFC title once. She will be a big favorite coming into the fight. 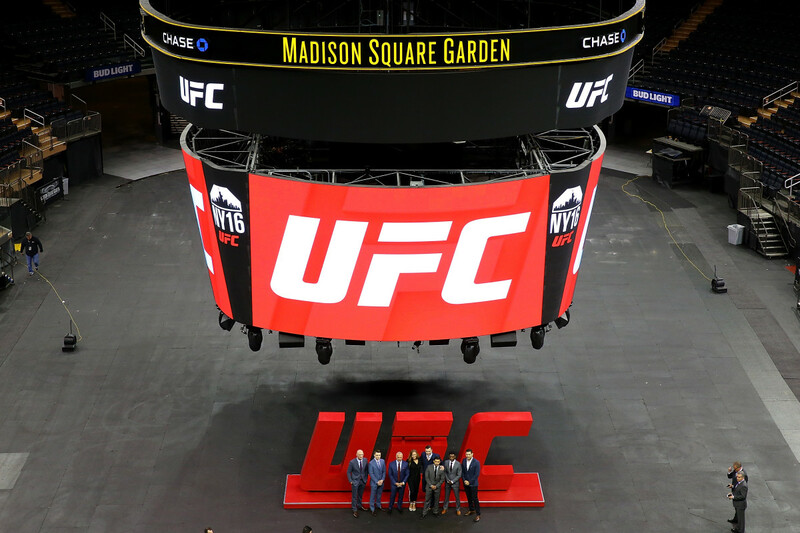 The UFC appeared to have made efforts on a variety of main events for the MSG show, but nothing came to fruition. Their latest attempt was an Alexander Gustafsson vs. Yoel Romero bout for either the currently non-vacant UFC light heavyweight title or an interim version. That eventually turned into a Gustafsson-Jon Jones rematch for late-December that has yet to be announced. As it currently stands, the title fight will headline above a co-main of Dustin Poirier vs. Nate Diaz, Jacare Souza vs. David Branch, Luke Rockhold vs. Chris Weidman II, Derek Brunson vs. Israel Adesanya, and more.